In a further sign of Turkey’s burgeoning defense industry, Ukraine has agreed to buy an undisclosed number of Bayraktar TB2 tactical unmanned aircraft, weighing around 500 kg and capable of carrying guided missiles, as visible here. 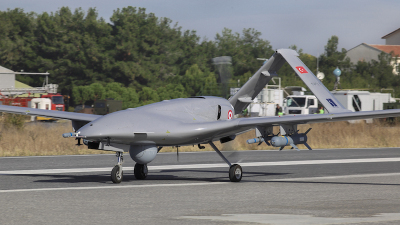 The state-owned company Ukrspetsexport, part of the Ukroboronprom, has signed an agreement with Baykar Makina, a Turkish company, for the purchase of Bayraktar TB2 tactical unmanned aerial vehicles. According to the agreement, the Ukrainian army will soon receive a batch of Bayraktar TB2 drones, a significant stock of high-precision and conventional armaments, training for operators and technicians, and warranty services for several years. "As we have agreed with the Turkish President, Recep Tayyip Erdogan, an agreement was signed for the purchase of Turkish Bayraktar TB2 unmanned aircraft for the Ukrainian army, which will also be equipped with up-to-date high-precision missile weapons to destroy armored vehicles, engineering structures and fortifications, as well as naval missions,” said President of Ukraine Petro Poroshenko. At the same time, at the Zaporizhzhya DP Ivchenko-Progress" factory, which is part of the State Enterprise "Ukroboronprom", the joint Ukrainian-Turkish enterprise for the production of components for unmanned technology, including engines and avionics, is pursuing development. Bayraktar TB2 is an operational, tactical-level strike drone with a wingspan of 12 meters, and endurance of 24 hours, and a mission range of 150 km. Such characteristics were achieved thanks to the widespread use of composite materials and the economical Rotax 912 engine. The maximum take-off weight of this drone is 560 kg, with a maximum payload of 50 kg. 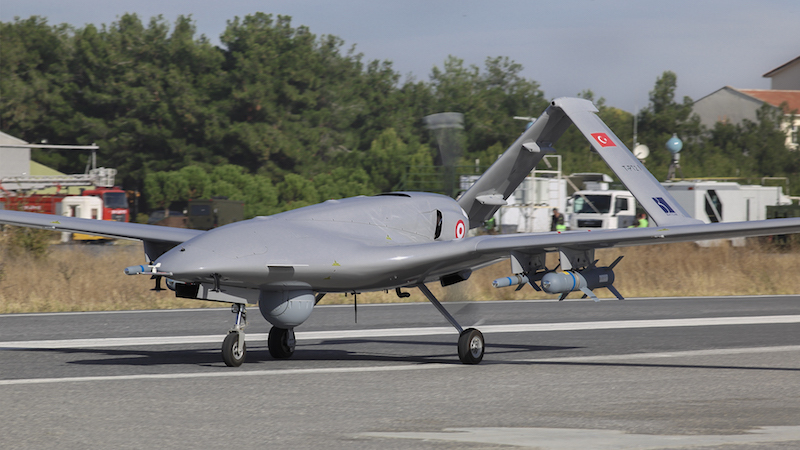 This allows Bayraktar TB2 to be equipped with modern high-precision missiles to engage armored vehicles, engineering and fortification facilities, as well as for naval missions. In addition, Bayraktar TB2 is equipped with an automatic take-off and landing system, which greatly simplifies its operation. At present, the State Enterprise "Ukroboronprom" is working on further deepening of cooperation with the defense companies of the Republic of Turkey. A number of joint Ukrainian-Turkish projects are now being implemented, including the development of the An-188 transport aircraft, the integration of Ukrainian defense equipment in Turkish armored vehicles, the supply of secured digital communications to Ukraine, etc.